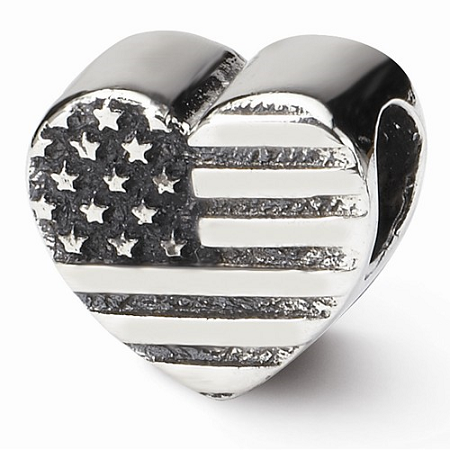 Sterling Silver Reflections Heart Flag Bead: Well polished heart shaped bead with flag embedded on it.It has length of 9.09 mm and width of 10.00 mm. With opening diameter of 4 mm, it has antique finish. It is made from Sterling Silver alloy.